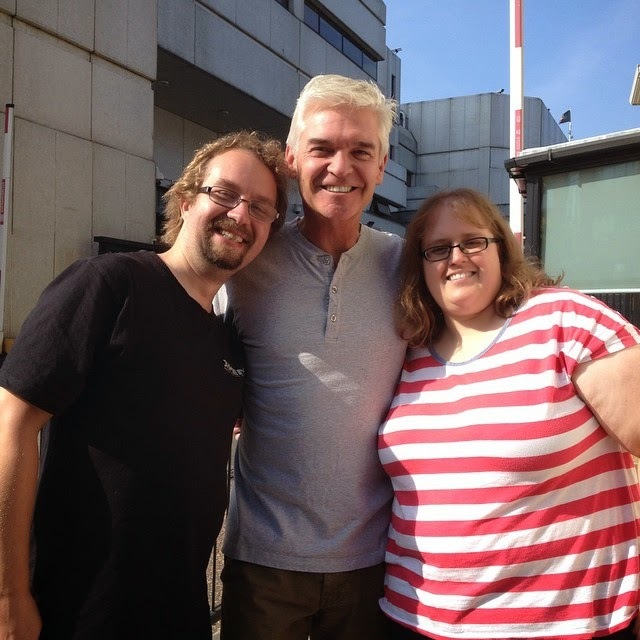 On the Monday of our weekend break in London I had arranged for Neil and I to go and meet Phillip Schofield after he had finished filming This Morning. 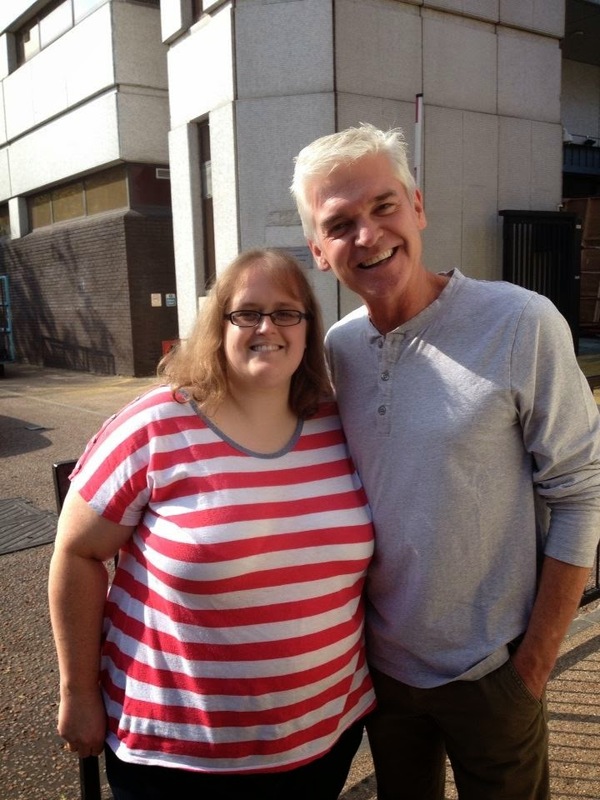 For those who haven't read my previous posts, I have been a huge fan of his since I was 8 years old and I used to run the Schofield Fans website before Phillip's official site came about. I have met Phillip seven or eight times previously but I hadn't been to visit him for over 5 years due to one thing or another. 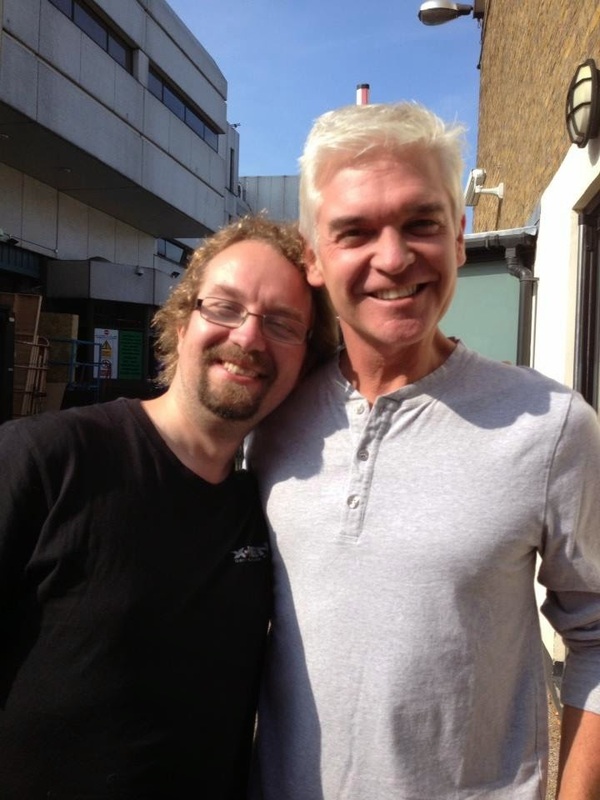 Phillip is not only my first and longest crush but he is also my cupid as I met Neil through him on twitter. It's a long and lovely story which you can read here . Before we met up with Phillip we met up with our good friend Dee who came along with us. 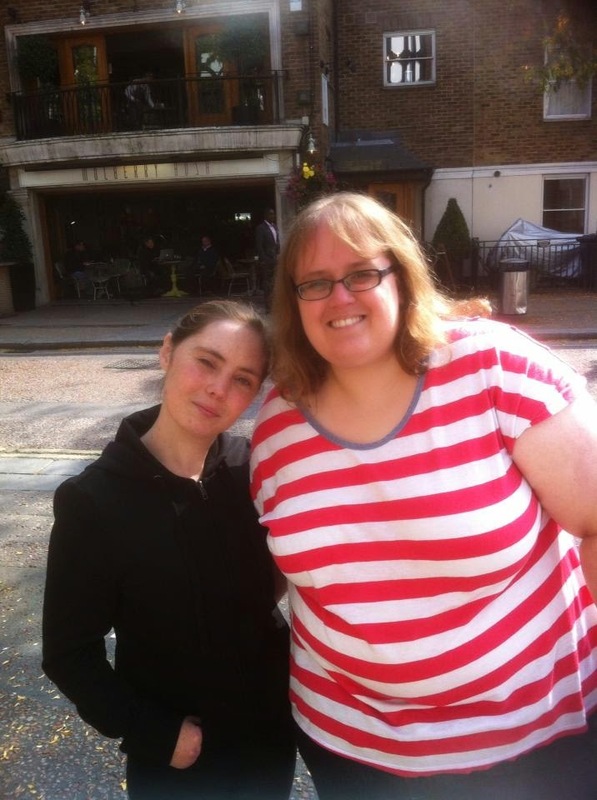 I haven't seen Dee for over five years so it was lovely to see her and catch up. We met on the way from the station to the studios. As we arrived early we decided to pop over to the pub, The Mulberry Bush, opposite the studios and have a drink. Me and Dee outside the studios. We then went to wait outside the studios. Not much has changed since the last time I was there visiting Phillip. It's a great place to people watch. There are so many people going in and coming out. We were hoping to get to say hello to Rylan as he was on the show too but sadly for us he came out of a different door. We did see Amanda Holden come out, it was her first day at This Morning. We didn't get to speak to her as she came out on the back of a motorbike and was on her way to another appointment. 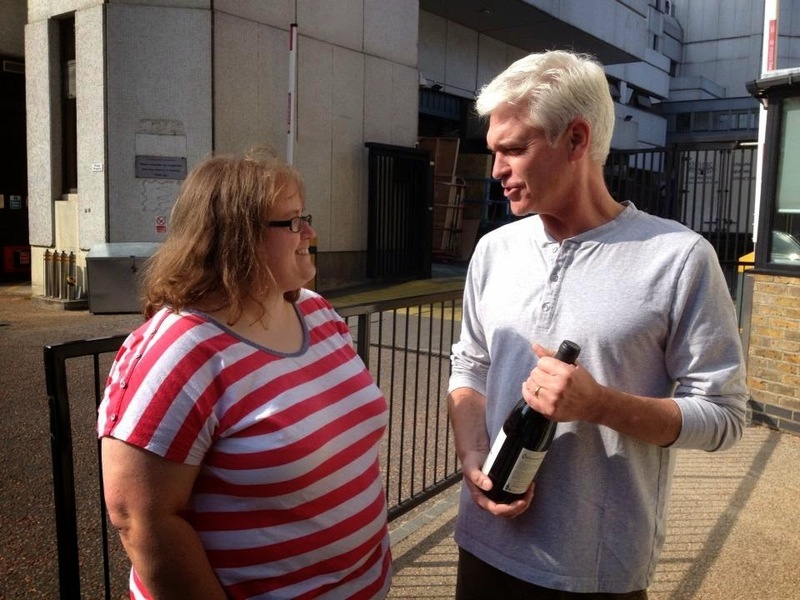 Before we left I gave Phillip a bottle of Chateauneuf Du Pape to say thanks for everything. I don't drink wine so I wasn't sure what to get but he said it was a good choice. Phillip also did a little video to say hello to Neil's mum as she is a fan of his too. It was so lovely of him. He is such a genuine and lovely man.